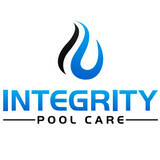 Integrity Pool Care has been in business since 2004. We are dedicated to providing a quality service for our customers. We have based our business principals on exceeding pool service expectation and integrity. We are fully licensed and insured. We understand that our customers want to have a stress free experience when they look out into their backyard and take pride in providing reliable, consistent, and professional service to our customers. Our company is in business to protect your investment in your swimming pool by providing the highest quality pool cleaning service at a competitive rate, so call us today for all of your pool needs! Swimming Pool Science was founded by Josh Maule and Thomas Balogh in their neighborhood sandwiched between Arcadia and Biltmore here in Phoenix. After meeting in 1991 when Tom moved to Phoenix with his family from Edmonton, they became best friends and began working with Josh's uncle Kenny, owner of American Pool and Spa after school and on weekends. After a few years of tagging along on service calls, helping with plumbing, trouble shooting electrical issues, and mucking out green pools, they finally had trucks of their own and each began small pool routes in the neighborhood. Throughout the years of highschool, college, and as adventurous young bachelors, the pool business had always been there as a steady and reliable source of income. With the guidence of the great staff at their local pool store, Checker Pool and Pump Supply, and Kenny at American Pool and Spa, they had each developed a solid and strong knowledge of the inner workings of pools, spas, and water features. In 2010 they decided to get serious, join forces and form Swimming Pool Science in order provide an honest, steady living for their new families while providing an honest, reliable, and educated service to thier growing customer base. Since the beginning, Swimming pool science has strived to offer better and more consistant pool service and repair with each passing year through continuing education, honesty and transperency, and competitive, fair pricing. 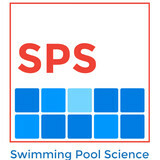 Swimming Pool Science is focused on doing what they do using the most current available knowledge possible. They also work with a great group of contractors and subcontractors that share their values of integrity. And if you're not happy with their work, They'll refer you to one of their collegues who also hold themselves to high standards of integrity. To them successfully solving the problem or issue is just as important and fulfilling (although harder to pay the bills with) as collecting on a job well done. 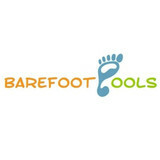 Barefoot Pools offers reliable, professional, & affordable swimming pool remodel, repair, and maintenance. We offer reliable weekly routine pool maintenance and repair services to customers located in the Ahwatukee, Chandler, and Tempe areas. Call us today for a free estimate! AZ Century Pool Plastering LLC is the Phoenix Swimming Pool Plaster Experts! Trust The Swimming Pool Experts for Your Swimming Pool re-surface needs. AZ Century Pool Plastering LLC are truly Experts in Pool Re-plaster. 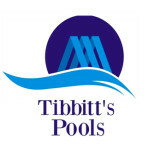 Tibbitt's Pools is here for all your pool needs, whether you are a home owner, tenant, or a landlord. We only service residential pools and take care of your pool as if it was our own. We provide weekly pool service, repairs, and green pool clean ups. Our customers can depend on us to show up on their scheduled day of service, and get the job done right the first time. Our goal is to take care of all your pool needs. This will allow you to spend more time enjoying your pool with family and friends, and less time maintaining it. We do it all when it comes to pool service. Professionalism, quality of work, high standard of customer service, and competitive pricing can be expected with E and E Pools. We are a local and family owned business with over 20 years of experience. We are located in Gilbert, and serve Phoenix valley wide. For a free estimate call Arnold at 602.412.8513. Are you looking for a swimming pool cleaning company in Avondale that can service your pool weekly, bi-weekly or monthly? If you are looking for a pool service company in your area that is flexible and can meet your pool maintenance needs look no further. Mr. Klean at Avondale Pool Cleaning Pro is Here! We guarantee our work and will deliver a clean and sparkling swimming pool every time we clean your pool. We offer different plans, give us a call for a FREE estimate. All of our plans include chemicals, maintenance, and equipment inspections. Kangaroo Pools provides products and services in all areas of pool maintenance, that exceeds our customer’s expectations, with an eco-friendly perspective. We specialize in salt free and chlorine free pool sanitizing systems. Bionizer (chlorine free, salt free pool systems) sales & maintenance. All pool maintenance & repairs, salt pool conversions, pool tile cleaning, filter cleaning, pool resurfacing, remodels & repairs & cool decking. Kangaroo Pools is a locally owned business with 12 years of experience in the field, with friendly and very approachable staff. We offer very fare pricing and it is our aim to meet your needs with professionalism & quality. AFFINITY POOLS LLC provides quality local pool service to all pool owners in GOODYEAR, LITCHFIELD PARK, AVONDALE, BUCKEYE, SURPRISE and ESTRELLA MOUNTAIN. Our mission is simple- Be the most professional pool service and repair company in the West Valley. We are a family owned business. We listen to customer feedback and respond promptly. We insist on your complete satisfaction of our services and back it up with a SERVICE GUARANTEE. We demand customer satisfaction. GAME is a leading, world-class global manufacturer of pool and spa products and accessories. Our focus and dedication to innovation and excellence have led to numerous awards across our entire product line. We continually strive to develop products that are technologically advanced, durable and sustainable providing our customers with the best in class products across our entire line, from our world famous Derby Duck® products to our industry-leading SandPRO™ pool filters. Our vision is to be the leader in continuous innovation and production of FUN products and services that transform the ordinary pleasures of life into unique and remarkable experiences. American Backyards, Inc., is truly a family owned and operated business providing the highest quality in the industry. We take pride in knowing that we build our pools with our customer’s ultimate satisfaction in mind. Having over 40 years of experience, we are able to offer pool packages that cater to the unique individual needs of our customers. Being a family owned and operated business and keeping our overhead down affords us the ability to offer unbeatable prices. By offering Valley Wide service here in Arizona, our family has made it possible to go through every step of building your dream backyard while never leaving the comfort of your own home because we come to you! With a wide range of choices covering a variety of shapes, finishes and features, we can build your dream pool. We are a young company but we operate our business on some timeless and old school principles; honesty, integrity and faith. Our founder learned how to run a business from his father who grew up in a time when it meant something when you shook another man's hand and said “I agree” or “it's a deal”; a time when you did not play politics with your customer's money. You looked a man in his eye when you spoke to him and gave him your honest recommendation on the services that he needed. If the customer did not need your service, you told him so. Along with honesty and business integrity, faith was passed down to our founder. There was a time when the people of America sought a job that was a calling not just a career. A job that is a calling is something that you believe in not only a source of income or revenue. A calling was something that you trusted your God to provide; lead you into and through, to success. A calling was something that you worked out on the behalf of your heavenly Father. Here at Desert Pool Tech we place success in our field of service solely in the hands of the heavenly Father. Since day one, we have been doing our best to stand by these timeless truths that have seen our predecessors through good times and bad. In addition to our core values, we pride ourselves in our high standard of professionalism and dependability. A week doesn't go by that a customer doesn't tell us about the pool guy they “used to have" but now he won't return their calls and he is nowhere to be found. That is the type of professionalism that does not describe Desert Pool Tech. This pool company is our "Plan A", not a fallback. We didn't fall off the wagon then start a pool company. We are not waiting for something better to come along. To us, this is a career. Because of that, we have to deliver quality. Because of that we have to look at every pool as if it were our own. We take ownership of your pool and your property. We take it personal. We pride ourselves in offering the best quality service at an affordable rate for you. We know you work hard for your money and don't want to have to waste it on things you don't need or want, that's why we are here for you to know that you can have someone honest, hard working and reliable. We're a local company in here in the valley and we service areas all over the valley. Please feel free to contact me directly with any questions or anything at all! American family owned business Bring out the beauty of your pools, fountains and flooring surfaces with the services provided by Arizona Coating Solutions. Experienced staff Count on our professionals and 25 years of experience to give you the best results. We are not satisfied with the results unless you are! Exceeding your expectations No job is too big or difficult for our technical expertise and dedicated crew. Speak with our friendly staff today to get a FREE estimate on our services. What should I look for when hiring a pool cleaning service in Scottsdale, AZ? Pools and hot tubs are big investments, so you’ll want to make sure to protect them by hiring an expert who cares about them just as much as you do. Check that the Scottsdale swimming pool maintenance service you are interested in actually specializes in the type of pool you have — chlorine and salt water pools have very different needs, and in-ground versus above-ground pools will require different upkeep and repair methods. Also, know who will be doing the repair or service; if it’s one of the larger swimming pool services in Scottsdale, AZ, request that you get same person every time, otherwise you could get inconsistency in treatments. Good Scottsdale pool professionals will keep a consistent schedule and log everything they do so that it can be referenced in the event that you switch companies or something does go wrong. Like any other professional, look for local pool cleaning companies near you with plenty of good reviews and relevant experience. Find a Scottsdale, AZ swimming pool repair and maintenance specialist on Houzz. Narrow your search in the Professionals section of the website to spa and pool maintenance companies in Scottsdale, AZ and read reviews and ratings for pros in your area.